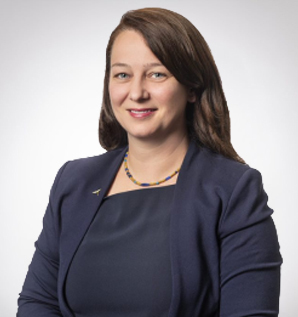 Jennifer Allen has served as Senior Vice President, General Counsel & Secretary of Triumph Group since September of 2018. In this role, she leads Triumph Group’s law department and oversees the company’s legal matters. She joined Triumph Group from CIRCOR International, Inc. where she was Senior Vice President, General Counsel & Secretary. Previously, she was Vice President & Associate General Counsel – Corporate for BAE Systems, Inc., a member of the mergers and acquisition group in the New York office of Jones Day, and a member of the business and finance group in the Philadelphia office of Morgan, Lewis & Bockius LLP. She is a graduate of the University of Pennsylvania Law School, where she was an associate editor of the Law Review and a legal writing instructor. Previously, she received a bachelor’s degree in English and political science from the University of Delaware.